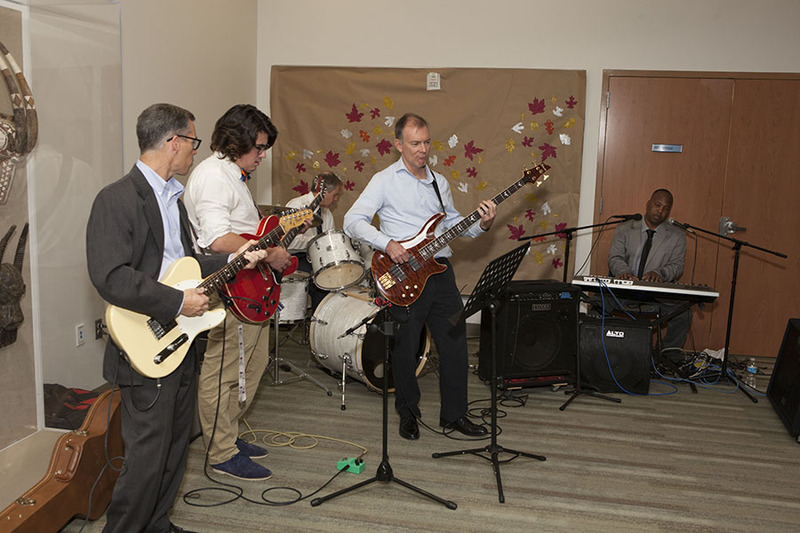 The Housatonic Community College Foundation raised over $20,000 for student scholarships during a spectacular night which highlighted the importance of HCC to the Greater Bridgeport Area and surrounding communities. With a theme of ‘Stay Close. 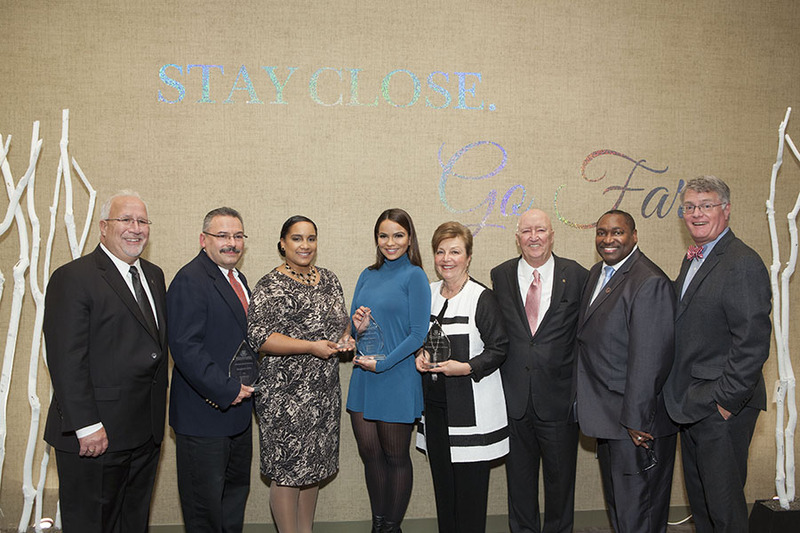 Go Far,’ the evening was dedicated to scholarship awareness and the impact scholarships have on students creating a path to success. “Our students truly do go far. 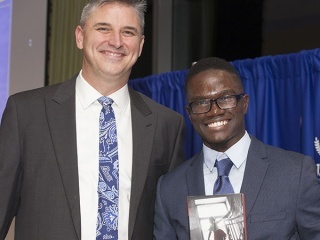 It’s not an easy journey, many have obstacles in their way,” said HCC President, Paul Broadie II. 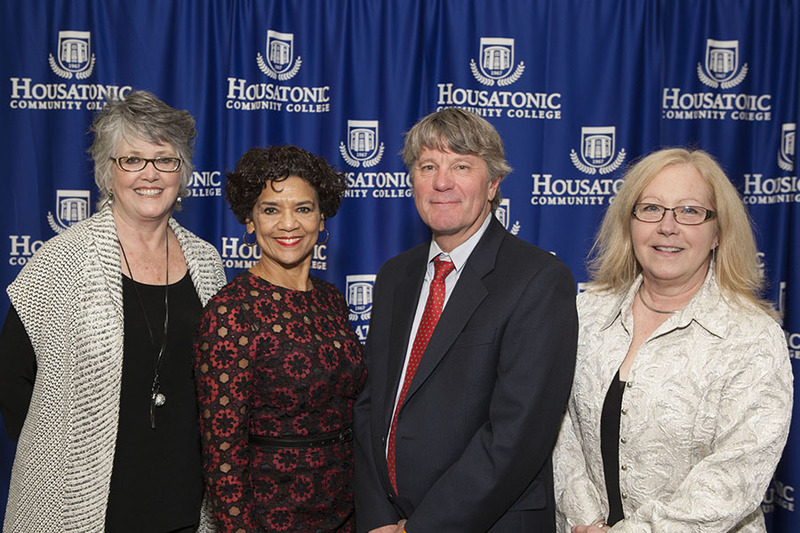 Guest speaker Sonia Manzano, who played ‘Maria’ for 30 years on the hit PBS show ‘Sesame Street,’ shared how she used her difficult childhood to thrive, and congratulated HCC on their support of helping non-traditional students become successful. 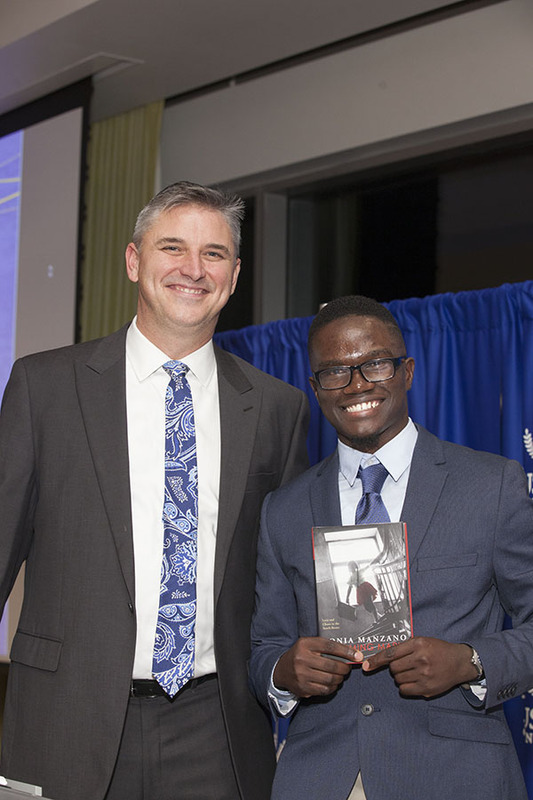 During the 2016-2017 academic year the HCC Foundation provided over $200,000 in scholarships to students with limited resources. 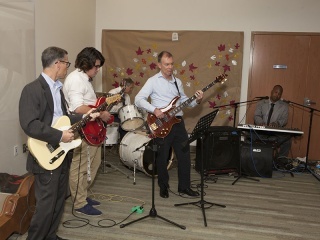 The event was emceed by HCC’s own Steve Mark, and music was provided by members of the HCC Community. During the event, four awards were presented. 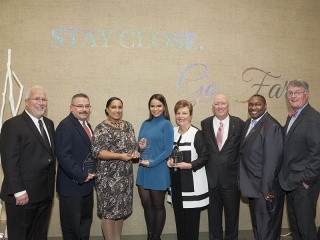 Benjamin Ortiz received the Distinguished Alumni award, Robin L. Avant received the Young Alumni Award, the Community Service Award went to Tiffany Teixeira, and Barbara and Carl Johnson were honored with the inaugural Friends of the College Award. Congratulations to the awardees and a thank you to the planning committee for putting on a remarkable event. Peter Werth III is the founder and director of Himalaya Currents, a Connecticut based non-profit organization created to manage energy and education projects in Dolpa, Nepal. The organization is currently working on several water and irrigation projects, as well as power generation projects to bring green technology solutions to this fragile environment. Additionally, Himalaya Currents worked with students at the Academy of Engineering and Green Technology in Hartford, CT to design and build alternative power systems for three villages in Nepal. These solar and wind turbine systems now bring power to schools and a birthing center in those communities, and a new project is in the works for this school year. Peter has a BA in Political Science from the University of Connecticut and has over 20 years experience in the generic pharmaceutical development and manufacturing industry. Sonia Manzano - For over 30 years, Emmy Award-winning performer Sonia Manzano inspired, educated, and delighted children and families as "Maria" on Sesame Street. Named among the 25 Greatest Latino Role Models Ever by Latina Magazine, Manzano broke ground as one of the first Hispanic characters on national television. Throughout her career, she has continued to contribute to enriching diversity on television, on the stage, and in the educational realm. A first generation American of Latin descent, Manzanos tale is one of perseverance and courage as she overcame countless obstacles to become one of the most influential Latinas in television. She will share her story of overcoming obstacles chronicled in her recent memoir, Becoming Maria: Love and Chaos in the South Bronx. organizations, galleries & museums. He is also an Art Advisor with BOZARTE LLC - Art of the Americas, specializing in American/Connecticut, Caribbean and Latin American artists. After leaving HCC in 1990, he went to the Smithsonian Institution Office of Museums Programs. This was subsequently followed by studies at the Worcester Art Museum in Massachusetts and New York University, with Ben completing his Bachelor of Arts and Cultural Studies at the University of Vermont. Since graduating, Ben has curated a number of shows including exhibits at The University of Connecticut, The Discovery Museum, and the New Britain Museum of American Art. A former curator at the Housatonic Museum of Art, Ben returned to curate his most recent exhibition titled Body and Soul. This exhibition featured 50 works of art that focused on the dual nature of humanity: the body and the soul. The works are a collection of prints, paintings, photographs, and sculpture with an emphasis on works by Latin American art. The fifty works included in the exhibit have been donated to the Housatonic Museum of Art by Ben Ortiz and Victor P. Torchia, Jr. in memory of Ben’s beloved brother, John Eloy Ortiz (1966-2008), to mark what would have been his fiftieth birthday. At the opening of Body and Soul, Ben was awarded the title of honorary alumnus in arts & sciences in recognition of his long standing relationship with Housatonic and the community. and seminars that gave her the personal and professional development she needed to achieve her goals. Immediately after graduating with her Bachelor’s degree, Robin was offered a position as a manufacturing associate, working for six years in the Biotechnology Industry. One year after completing her Master’s degree in 2008, she founded “Robin’s Cleanly Nest,” a small cleaning business in the State of Connecticut. Her business grew tremendously, providing residential and commercial cleaning services throughout Fairfield County. “Robin’s Cleanly Nest” was closed for business in 2014 to allow Robin to pursue other endeavors, but the experience of creating and launching a business was, for her, another major professional accomplishment. Robin has volunteered with numerous organizations in Connecticut. She has worked with Connecticut Hospice, Norwalk Community College’s Amazing Girl Science, Green Village Initiative at the Bridgeport Reservoir Garden, 2016 March for Education, Trumbull Community Gardens, New Beginnings Family Academy, Bridgeport Lighthouse Summer Program. She has been instrumental in the development of projects related to STEAM (Science, Technology Engineering Art, and Math) including HCC STEAM Day, HCC STEAM Research Day, Westport Makers Fair, STEAM Saturday Academy and STEAM Summer at Housatonic Community College and has volunteered over 200 hours towards the development and execution of this special program. Currently, Robin is a Minister in training at EnterChange Ministries where she works with youth and community members. According to her peers at HCC, Robin has an incomparable spirit and determination with a unique ability to combine her passion with her organizational skills. As professor of Molecular Biology at Housatonic Community College, Robin is incredibly dedicated to her students and serves as an exemplary role model for our community. with her Bachelor of Science in Nursing. She earned a place on the Dean’s List and joined Phi Theta Kappa, an international honor society that recognizes and encourages academic achievement. Growing up in the inner-city, in what many would consider a low-middle socioeconomic class, she knew she wouldn’t be able to afford the skyrocketing cost of a 4-year College. Tiffany says, “Attending HCC was a great way to get an affordable education without compromising quality.” Despite coming from humble beginnings and having less than ideal circumstances, Tiffany always held onto her vision and remained positive that with hard work she could achieve her goals. She learned to embrace any hurdles or setbacks as the “process” of her journey which added to her growth. Tiffany believes that getting hired as a Registered Nurse in the Surgical- Trauma Intensive Care Unit at Yale-New Haven Hospital as a new graduate will always be her most important professional accomplishment. Typically, Registered Nurses only begin working in an ICU after a few years of nursing experience. Tiffany was chosen to work in the ICU immediately after graduating. Her training was intense and humbling, but continues to be rewarding every single day. In Tiffany’s Trauma Unit she cares for critical patients, some who unfortunately succumb to their injuries. Caring for a critically ill patient and being supportive of their families may be challenging, but Tiffany says she couldn’t think of a more rewarding career. Tiffany Teixeira has won the titles of Miss Connecticut Teen USA 2009 and Miss Connecticut USA 2016. As the reigning Miss Connecticut, Tiffany has been able to volunteer throughout the year with organizations and for causes that are most important to her. Working in the inner city to encourage youth to follow their dreams and not be defined by their circumstances is something she has been able to do this year that is very dear to her heart. She has also dedicated much of her time to raising awareness for various health conditions and teaching about the importance of preventative care. Tiffany has used her title to serve as a platform to be able to give back to her community. As the reigning Miss Connecticut USA she has been able to use the title as a vehicle to raise awareness for causes most important to me. Visiting inner city schools and meeting with the students is her favorite way to mentor within her community. Coming from the innercity, she feels she can truly see eye-to-eye with the young adults and hopes to empower them by being candid with them and sharing her story. Barbara and Carl Johnson, were the Founding Vice-Chairs of the American Manufacturing Hall of Fame, an annual event which provides scholarships for the students of the Advanced Manufacturing Technology Center at HCC. This event raises both funds for scholarships and awareness in the manufacturing/business community about the need for skilled employees for the manufacturing sector. Barbara has served as the President of the Housatonic Community College Foundation Board and as the Chairman of the Greater New Haven Chamber of Commerce. In addition, she has served on numerous other boards including the Board of Directors at the Shubert Theatre, the International Festival of Arts and Ideas, the New Haven Symphony Orchestra and the University of New Haven. She also was member of the Board of ConnectiCare, a Connecticut health insurance provider. In recognition of her contribution to the community, Ms. Johnson received the Community College Board of Trustees Merit Award and was recognized as a Woman of Distinction by the Housatonic Girl Scout Council. Carl F. Johnson, now retired from his position as the Corporate Director of Technology at Country Home Bakers has over 40 years of experience. Carl was an Information Technology professional with expertise in utilizing technology to improve and enhance business processes while impacting the bottom line of the business. Following his retirement, Mr. Johnson has applied his leadership expertise in the non-profit community. He served as the Chair of the Council of Churches of Greater Bridgeport for two terms, as Commodore of the Black Rock Yacht Club and Moderator of United Church of Christ Fairfield East Association. He is an active member of Bridgeport Rotary Club. 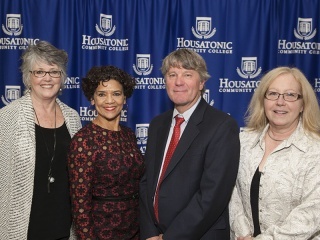 Both Barbara and Carl have participated in longstanding work with Housatonic Community College, both being former HCCF board members. They were both driving forces in creating Housatonic’s Foundation and the first Alumni Hall of Fame.